I W O N ' T B E D O I N G T H I S A G A I N .
This is my cousin, Faiz. Bored one day, lounging in his room. 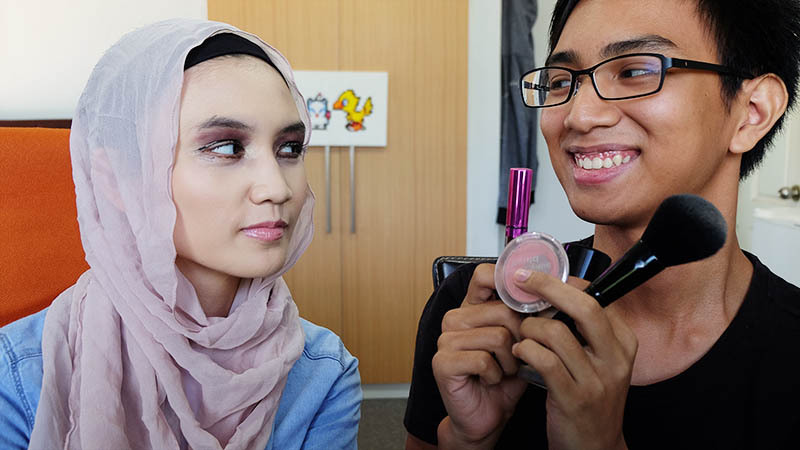 I asked him, 'Do you want to do my makeup?' to which he grinned and I immediately regretted my words. 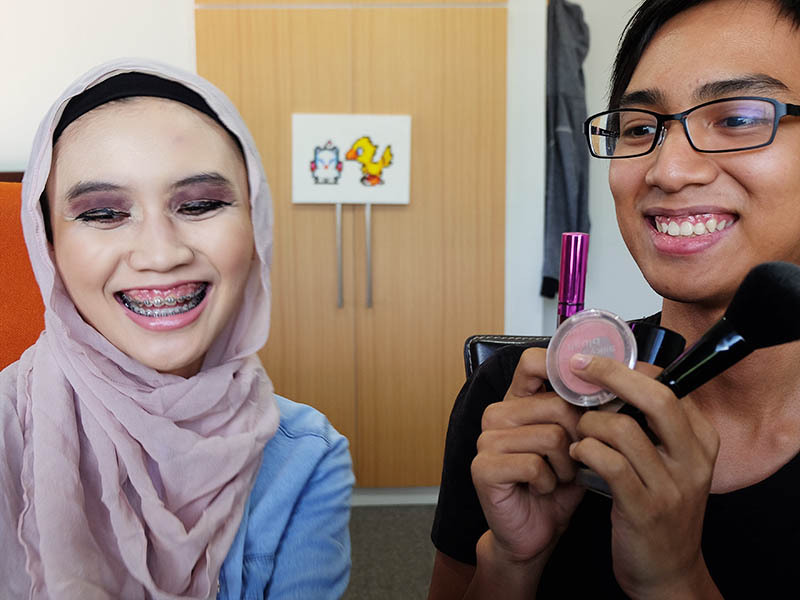 But as a girl who holds her words, we filmed My Cousin Does My Makeup. Last year, I gave him a slashed throat for Fright Night. So allowing him to do my makeup seems like the fair choice. In hindsight, no. No, it wasn't. He claims he's genuinely trying but the bruised eyeshadow and wonky eyebrows prove otherwise. In his defense, he wanted the 'drag queen' look. The only positive I can imagine, is a newfound respect for makeup lovers. Never will I let my cousin apply makeup on me again. Looking as if I was punched in the face twice, without a fair fight. And yet Faiz won't return the favour. Apparently, I can't apply makeup on him as retribution. Because he has 'dignity.' Dignity I lost uploading this video. Would you let someone do your makeup? Please say no.